University of Warwick Science Park staff got a sneak peak at a luxury car designed and developed in Coventry. The David Brown Automotive Speedback has been designed by a team, whose headquarters is based at the University of Warwick Science Park’s Business Innovation Centre in Binley. The luxury vehicle received rave reviews when it was launched at Top Marques Monaco in April of this year but was yet to have a public outing in the UK when staff at the Innovation Centre were given an exclusive view of the car when it paid a visit to the offices where the company is based. 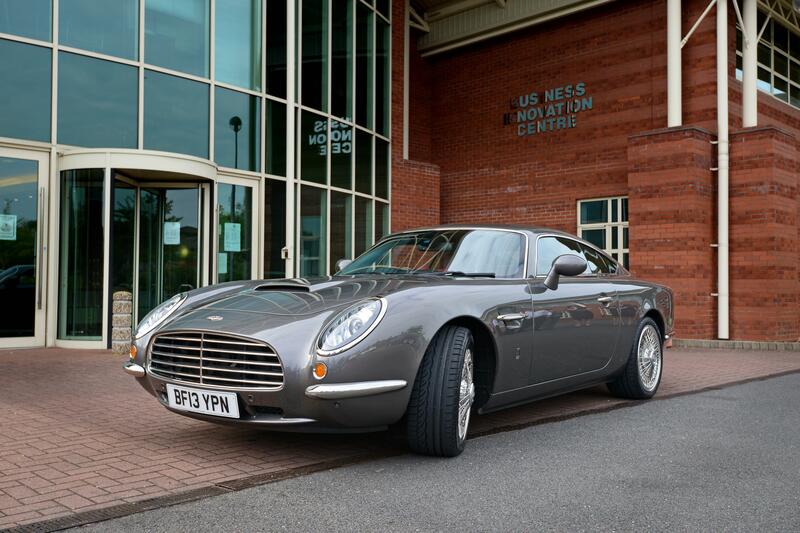 Penny Robb, centre manager at the Business Innovation Centre, said: “We were very privileged to get up close and personal to Speedback. It’s a beautiful car and we were delighted to see the fruits of our tenant’s labour in the flesh. “It’s great for the Innovation Centre, the University of Warwick Science Park and the city to be associated with the Speedback and I am sure it’s going to be an international success. The creation of the Speedback has involved a range of UK-based suppliers, including Envisage in Coventry, and David Brown said the feedback so far had been extremely positive. He said: “The Innovation Centre has been a great base for us. It’s ideally located and offers a host of services that have proved extremely valuable while we have been developing the Speedback.